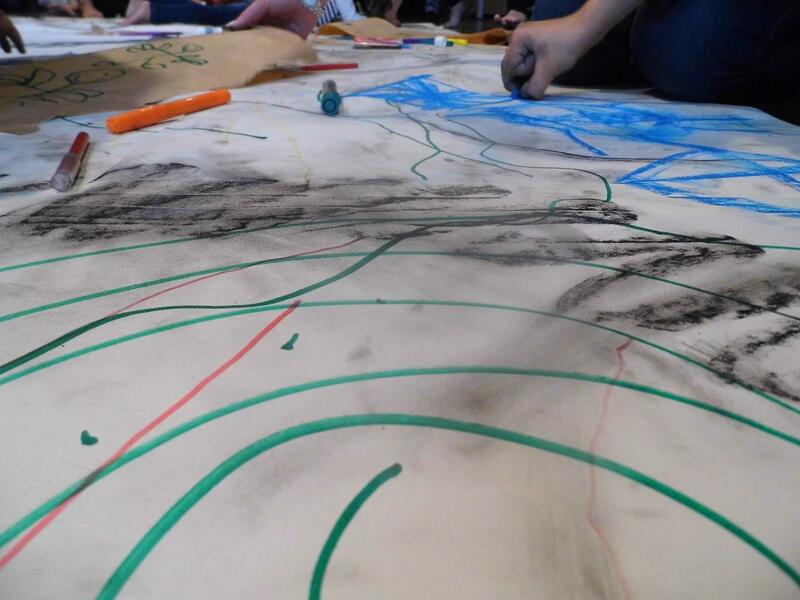 In October 2017, I devised and delivered an event for the Big Draw Living Lines 2017 Festival. I successfully achieved funding from Arts Council Grants for the Arts, and in partnership with project partners Geddington Brickyard Garden, the project was also funded by Kettering Borough Council. Using the theme of Living Lines as inspiration, I designed four workshops for the day: ‘Landlines and Skylines’, ‘Garden Lines’, ‘Human Lines’ and ‘Imagined Lines’. After the event, we held an exhibition locally of all of the work produced on the day, together with the film of the event. Images of the event and the work produced can be seen here.